Mike Ruocco started playing in his first band Plunge, at the young age of twelve. 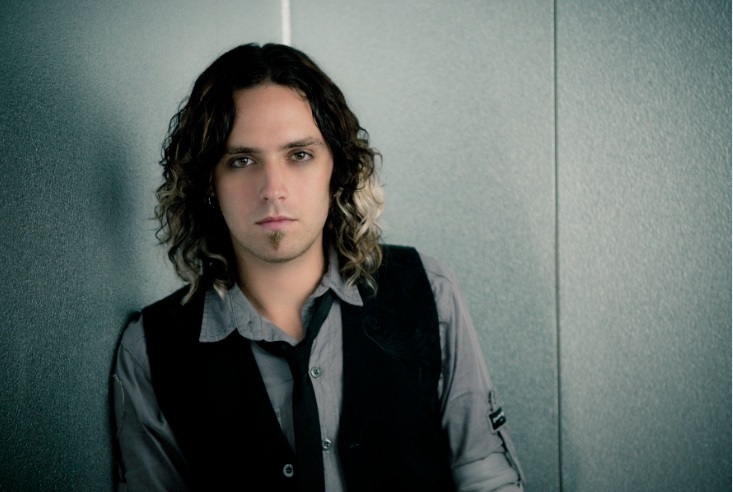 In 2007 as a member of Cinder Road he recorded the album Superhuman. As the singer/guitarist of Cinder Road Mike has toured with many bands. Tesla, Kiss, Candlebox and Daughtry to name a few. Mike has currently put Cinder Road on the shelf for now as he focuses on a solo career. He is about to release his debut solo album aptly titled The Rise. The Ride. The Risk. His goal to share his music with whoever will listen whether it’s 20 or 20,000. Here is an exclusive interview we did with him recently. RSC: Can you give us a rundown of what you are currently up to? Mike Ruocco: Well things are super exciting right now. I’ve got a brand new solo band and I just finished recording my first record for this project at the end of last week. So we got all the final mixes and masters in. Our song “Too Late” my single is at radio right now currently getting added as how they see. And we are starting to do some shows around the country to promote the record. RSC: Who is currently in your band? MR: Obviously myself and then I have my former guitar player from Cinder Road Pat Patrick and then I have three new members in the band. My other guitar player is a guy named Dean Cramer, on bass I have Drew Yount and Chris Jankiewicz on the drums. RSC: Dean Cramer that wouldn’t be the same guy that played with Funny Money and Steve Whiteman? MR: That is the exact same guy. Yeah, small world Steve Whiteman was my vocal teacher when I was a teenager. I’m from Baltimore and being from here, Kix was obviously the big brother in the music scene around here and that was one of the bands we always strived to achieve the same level of success. When I found out Steve was doing lessons, I freaked out and I had to get lessons from him and wound up becoming friends with Steve. Then in turn he wasn’t doing the Kix reunion shows at the time it was just Funny Money, so my old band Plunge used to open up for Funny Money quite a bit. I became friends with the guys, stayed in contact with them throughout the years and music being the small world it is, here we are. RSC: So what brought about the ending of Cinder Road at this stage of your career? MR: I wouldn’t necessarily call it an end. I started what would become Cinder Road through my first band Plunge, Chris and Mack my guitar player and drummer were with me through that whole thing and into Cinder Road. We were basically fourteen, fifteen years old when we started playing together and went through getting signed to Columbia and then that deal not working out. Another couple of years went by and we finally got signed to EMI, did Superhuman, you know toured the world, lived that whole thing. It did great but not quite enough for us to be able to maintain the level of success that we wanted to. So we went back into the studio and did Damage Control hoping to get another record deal cause we had chosen to part ways with EMI cause we didn’t like the way things were going over there. Eventually it came down to some of the guys got married, got 9 to 5 jobs. I turned around and it wasn’t the same lineup anymore. I just didn’t feel right calling it Cinder Road. I’ve continued to write songs and doing a solo career was always something that I had in the back of my head and I just thought well I think maybe this is the universe telling me hey maybe its time you try that whole solo thing out. I would never rule out going back and doing a Cinder Road record. In fact Pat and I were talking about that just last week. At this point in time I’m 100% focused on my solo project. I’m super excited about the band and equally excited about the new record. Cinder Road’s kind of taken a break, we’ll see what happens, if the right opportunity came up we would certainly dust it off. But at this point in time it’s all about the new thing. RSC: Tell us about the new album? MR: Basically we took eight brand new songs and then we added four songs from the 2nd Cinder Road album to round it. Because that album was only limitedly released. Eight brand new songs that no one’s heard and I’m super excited to get them out there and let them get their shot. RSC: How did you end up working with Candlebox? 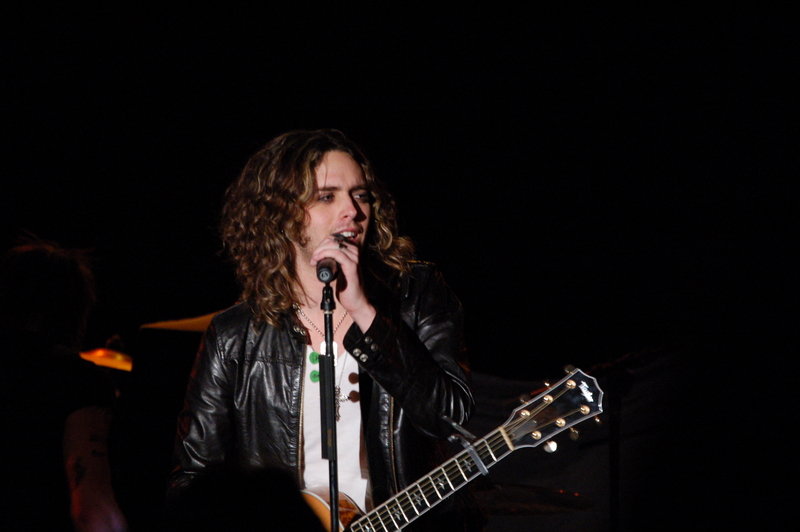 MR: Back in 2007, when Cinder Road was on tour with Daughtry, we played in Seattle. The night before the show we were all drinking in the hotel bar and Chris (Daughtry) was hanging out with Kevin Martin. I don’t know how they got to know each other but Chris introduced Kevin and I. Obviously Kevin came to the show the next night. Kevin and I really instantly hit it off as friends and hung out that night and stayed in touch. As soon as we finished the Daughtry Tour, four or five months later Kevin asked us to open for them on the Candlebox tour. We toured with them, Kevin is absolutely one of my best friends in the music business, great guy, great band. So when he left to do the Gracious Few project I co-wrote a song called “What’s Wrong” on that record. When it came time to write for the new Candlebox record Kevin and I sat down again and we wrote “Sweet Summertime” and “Youth In Revolt”. Just to get a cut with a multi-platinum artist like that was just huge to me. Even though those guys are good friends of mine and what not, it’s still a huge testament to the song. Kevin and I sat down again and wrote a new song called “Carry Me” that’s one of my favorite songs on my new record. So we’re just taking turns writing songs for each other. MR: I didn’t know what the album order was gonna be. I just knew that the two songs I co-wrote with Kevin were gonna be on there. The day the record came out, I’m so old school I still go to the record store and buy records. The day the record came out obviously I wanted to support my friend and I wanted to support a song that I helped write and went out and opened up the art work and I went damn songs one and two you gotta like that. RSC: What is your one of your most memorable moments playing a show? MR: When Cinder Road opened for Kiss in Europe, we played at the Coliseum in Verona, Italy. I couldn’t tell you how old the building was, but a couple thousand year old building where gladiators would fight lions. It was that kind of open air coliseum where they held probably Olympic sporting events and stuff like that. We had a really long drive the night before, we were coming from I think Austria and the crew from Kiss barely got the gear up in time. We didn’t know if the Kiss show was gonna happen, we didn’t know if we could play. Actually everything wound up great they were still constructing Kiss’ gear behind us behind the curtain as we were playing our set. The weather was amazing we were sitting in this stone marvel of architecture looking out over twenty five thousand people and we were opening for Kiss. It was just one of those really emotional times with my band. I’ve grown up with some of them since I was twelve years old and here we are in Europe playing for one our idols in Kiss “we’re here, let’s enjoy this”. RSC: What bands helped shape your identity? Who are your influences? MR: From a band standpoint a huge Def Leppard fan. I love Joe’s (Elliott) melodies and the guitar parts are great, the arrangements are great, the production is great. I just feel they are such a complete band from all aspects sonically. On top of that a lot of group harmonies. The Beach Boys were my first concert to have lots of vocals was something I always wanted in my band. I’m a huge Aerosmith fan. I think Steven Tyler is one of the top three to five greatest rock n roll singers of all-time. I also love Bon Jovi those would be the bands that influenced me. From a performer standpoint, my absolute idol is Elvis Presley. I’m a huge Elvis fan. He was the world’s first rock star. From the stage performances, to the cars, the outfits, everything about Elvis was trailblazing. I was just infatuated how he was always able to carry himself, still seemed to be a good guy, took care of people in his community but had ten gold rings and pink Cadillacs and everything else. RSC: How would you describe your new music? MR: From a musical standpoint we’re still a rock band, we’ve just calmed down a little tiny bit. We still want to be a very energetic, exciting dangerous in a good way band to see. The music is really widely appealing like even if Bon Jovi or Aerosmith were to come out with an record today. Bryan Adams, the Goo Goo Dolls, its rock but it’s not super heavy, its also not all acoustic frontman singer songwriter based. Right up the middle good time stuff, fun music nothing too heavy lyrically. It’s more just about enjoying what your listening to and feeling good while your listening to it. Special thanks to Leo Lavoro for setting up the interview.